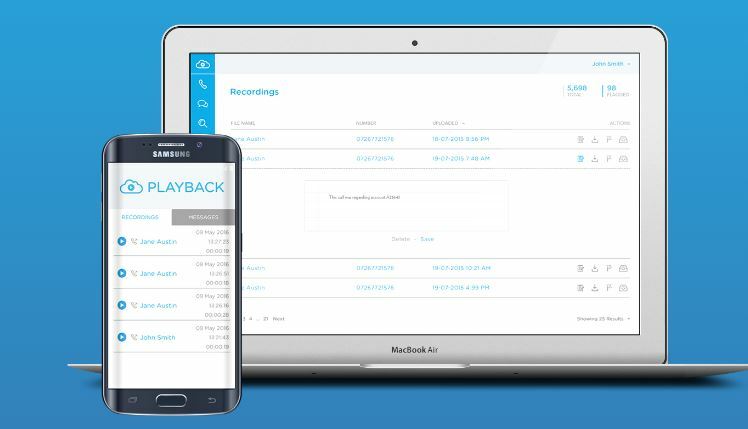 Playback is a mobile phone voice and text recording system. It is a product in the form of a mobile App and a web based dashboard. It is a very exciting technology with multipe uses across compliance, call tracking, customer service and customer relationship management. It is an App that has many practical uses but the main problem it solves and the most critical is to support Mifid II compliance surrounding mobile call recording in financial sales which will be an enforced Pan European rule from January 2018 (see more here ). Mifid II mobile compliance are new rules that say that wherever financial sales are involved, all company mobile calls MUST be recorded. 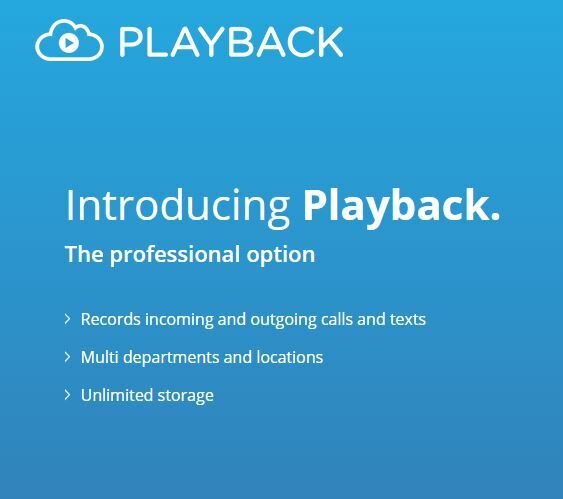 Playback can also be integrated with ease to landline service via ISP and then provide analyticals around call quality, customer complaints and as a back to legal disputes. Finally it can be integrated with CRM systems to provide very powerful marketing and new business development functions. Playback is a dynamic and flexible technology – it offers very flexible data analytics for the user. Rather than just record it can prevent and pre-empt negative business activity if used effectively. You can take voice recordings and document them. You can use key word searches. You can queue certain conversations based on call content. There is no other product on the market with its flexibility and functionality. Signing contracts with banks in London and financial institutions in Switzerland. Ensure you surround yourself with people better than yourself. IT Program manager for investment bank London– Head of Ops control change management. Senior Internal consultant for Investment Bank Deutsche Bank. Head of IT for Global Hedge Fund Fund. Senior Program manager for EMC Cloud services. IT Program manager at Major Irish bank. Program manager for HP Business Intelligence Unit. Senior IT Program manager for VCE and Head of IT Governance. I have worked in the US, UK, Europe, Caribbean as well as a number of other countries across investment banking, Hedge funds, retail banking, converged IT infrastructure platforms, BI, Cloud IAAS and mobile application development. Become the product of choice to cover banking mobile recording compliance requirements. Move into the US market to cover similar requirements.